To get the best quality education, we have to fight tough competitive exams. To get into top engineering colleges is a dream, for many students. But, as competition is increasing every year, getting admission in top colleges is becoming tough. Students have to settle down with the choice of another college. But, here we are giving chance to take direct admission in top engineering college. We provide direct admission in Christ University, Bangalore through management quota/NRI seats or vacant seats. In 2016, India Today ranked Christ University, Bangalore as one of the top University in India. Christ University has many departments which include management, engineering, arts & humanities. Christ University has always stood in quality education as many students from this University are present in many top positions and are helping in the development of nation. 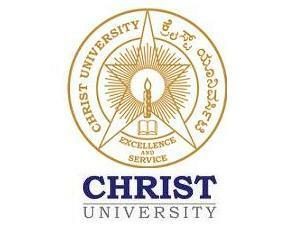 Christ university is a deemed private university located in Hosur road, Bangalore, Karnataka. It was established in 1969 in Bangalore and is approved by UGC, New Delhi. 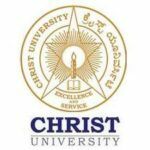 Christ University is administered by Carmelites Of Mary Immaculate and thus, it was founded by St. Kuriakose Elias Chavara, a educationalist and a visionary. Christ University has been graded as AAA University in state level. Why To Take Direct Admission In Christ University, Bangalore? CAMPUS PLACEMENT- Many top MNC’s recruit from Christ University, Bangalore. Students of Christ University are talented, skilled and are industry ready at the end of their graduation period. Some of the top recruiters are Deloitte, Tech Mahindra, ICICI Bank, Yes Bank, and many more. STUDENT ACTIVITIES – Students of christ are very active in academics as well as in extra curricular. Many student groups and clubs are formed in the University so that the students can enhance their skill and knowledge. Sports day, tech fest, cultural programs are solely conducted by the students. CAMPUS AND FACILITIES – Christ campus is spread across in a huge area. Boys and girls hostel is provided in campus. Students have access to library, cafeteria, auditorium, playground, enabled wifi campus and medical facility is also provided in Christ University, Bangalore. ALUMNI MEET – Alumni meet is an important part in Christ as it is conducted by the University administration so that the passout batches can guide their current graduates. In these meets our alma mater or alumni guide our students for their future options and choices. M.Tech in Communication Engineering for 2 years. These are the courses offered at Christ University, Bangalore. For further details on Christ University, Bangalore you may contact us and we will help in admission process.